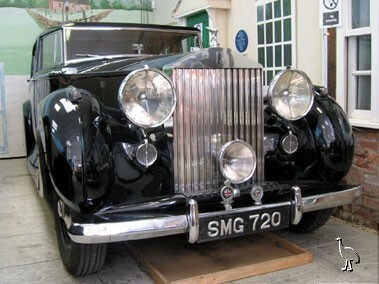 Notable as the last Rolls-Royce - mighty Phantom series apart - to be sold in bare chassis guise only, the Silver Wraith was introduced in April 1946. Enjoying a seven-inch longer wheelbase than its Bentley MKVI sibling, the newcomer was based around a massive, box-section chassis equipped with independent front suspension, hydraulic shock absorbers (adjustable to the rear) and four-wheel drum brakes. Powered by a smooth 4257cc six-cylinder engine allied to four-speed manual transmission, the model appealed to both owner-drivers and passengers alike. Only in production from 1946 - 1952, just 1,144 standard wheelbase Silver Wraiths are thought to have been made. This particular example - chassis number WVA19 - was supplied new to the Tokenhouse Security Corporation in the heart of London's financial district during Autumn 1947. Bodied as a handsome four-door, four-light saloon with division by Freestone & Webb, the Rolls-Royce is understood to have relocated to Hampshire thereafter and has spent a good long while on display at the Ringwood Town & Country Experience. Finished in black with brown leather upholstery to the front and cream to the rear, the Silver Wraith is described by the vendor as being in "good" condition with regard to its engine, four-speed manual gearbox, electrical equipment and interior trim. He further rates the coachwork as "very good" but notes that the paintwork is showing signs of "slight blistering" in places. Riding on correct type steel wheels and pleasingly retaining its original powerplant, this imposing Rolls-Royce is believed but not warranted to have covered a little over 100,000 miles from new.